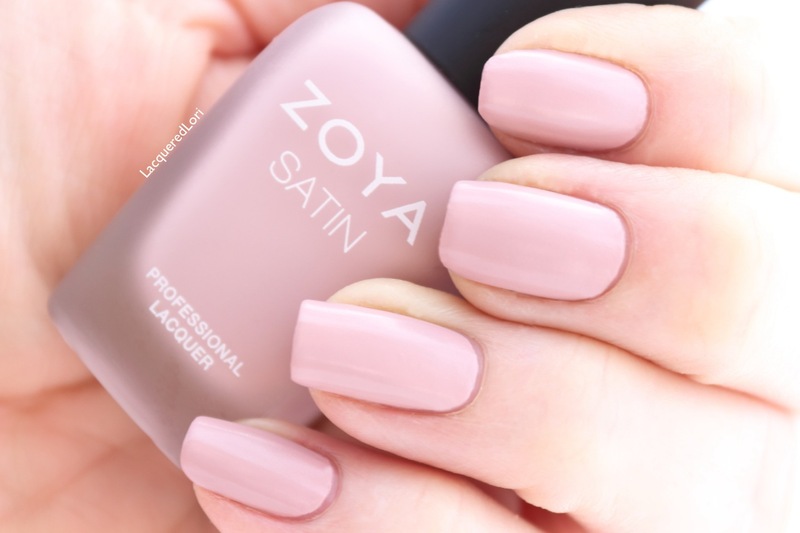 I am beyond pleased to share with you one of the newest additions to the Zoya family of Naturel nudes, the Naturel Satins Transitional collection for 2015. Inside the beautiful frosted bottles with velvety caps, lies the extremely opaque polishes that will take you smoothly from winter into spring. I used two coats of each shade, all very similar in formula with the exception of Ana. She was very slightly more sheer due to her pale pink shade, but smoothed out nicely upon application of the second coat. These polishes dry quickly to a satiny finish, not shiny, not quite matte. Very attractive for the office or when you need to be classy yet in fashion. Although these are a bit on the thick side, they self leveled very nicely. Let’s take a look! 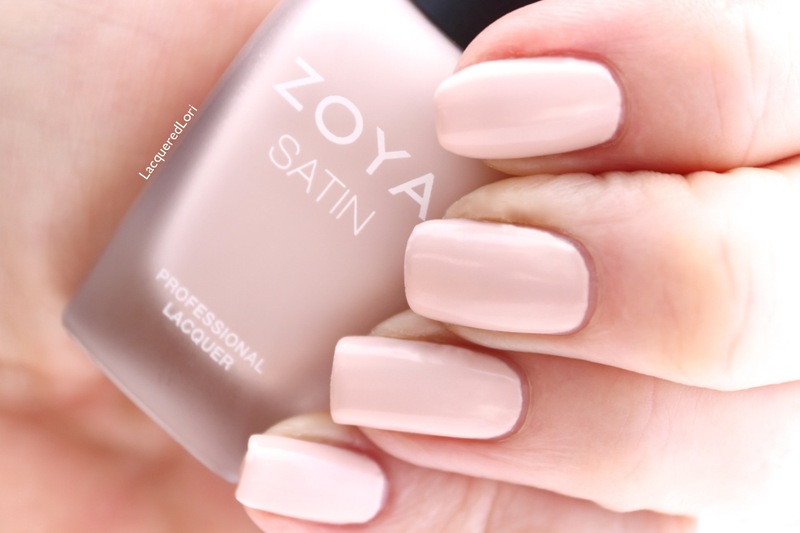 Zoya Naturel Satins Transitional Long-Wearing Satin Finish Nudes for 2015. From top center then clockwise: Rowan, Brittany, Leah, Ana, Sage, Tove. 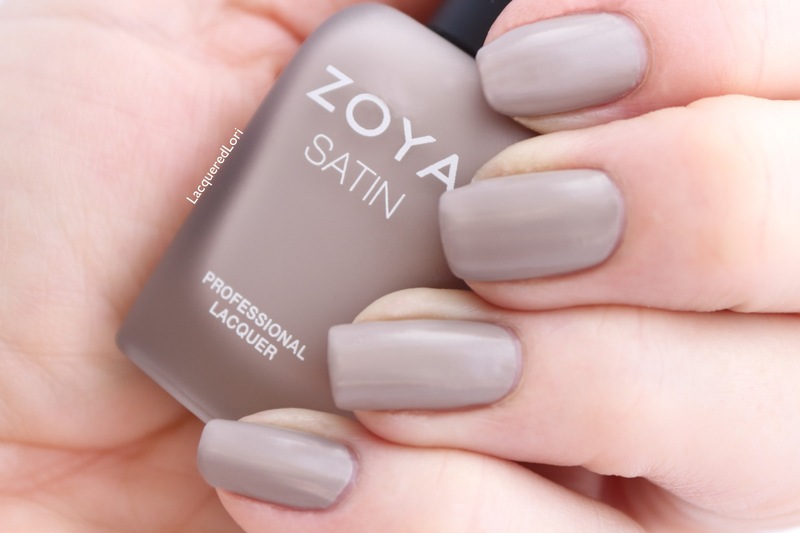 The new Zoya Naturel Satin* formula provides opaque coverage and wears much longer than traditional matte shades. Plus, the forgiving smooth finish hides imperfections! First up is Leah. I was immediately impressed with how nice this shade complimented my pale winter skin tone. I think this will look great on any skin tone as well. 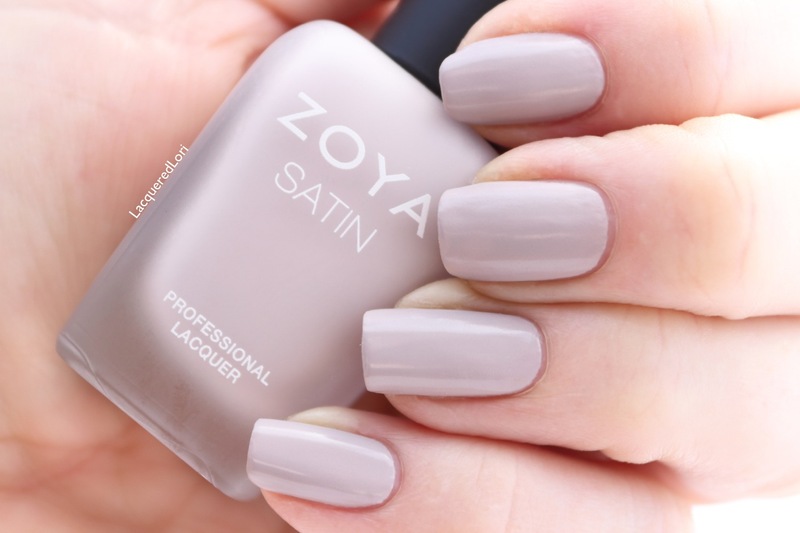 Leah is described by Zoya as “a lavender tinged taupe cream in the exclusive Satin* finish.” I used two coats. Rowan was the surprise shade in the bunch in my view. I was unsure if I’d like a suede taupe on my skin, but it was one of my favorites. Rowan is described by Zoya as “a suede taupe cream in the exclusive Satin* finish.” I used two coats. Sage is one of those earthy soft shades I love. 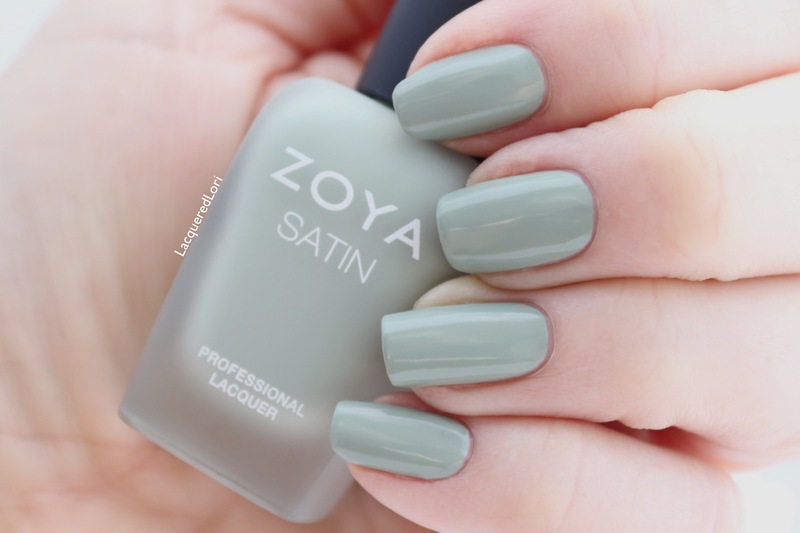 Sage is described by Zoya “as a mossy sage green cream in the exclusive Satin* finish.” I used two coats. Tove is the essential grey. Since greys seem to be the fashion statement color this season, I’m glad they included this one in the collection. Tove is described by Zoya as “a misty slate grey cream in the exclusive Satin* finish.” I used two coats. Next we have Brittany. It’s a fabulous rose mauve. Sort of old school, but not old fashioned. Brittany by Zoya can be best described as “a rose mauve cream in the exclusive Satin* finish.” I used two coats. And last we have delicate Ana. My fave pink of the collection. Ana is described by Zoya as “a light toasted almond cream in the exclusive Satin* finish.” I used two coats. *The Satin formula is a hybrid between matte and glossy polishes and is not intended to be worn with a top coat. For best results: Prep nail with Zoya Remove Plus Nail Polish Remover, apply base coat and finish with 2 thin coats of any Satin polish. 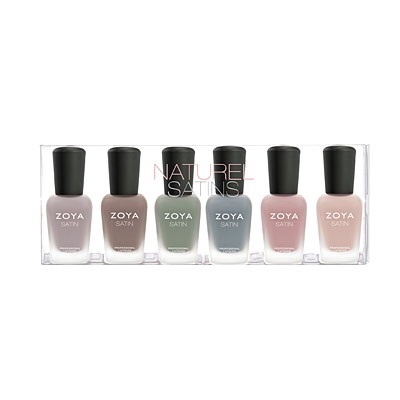 They can be ordered now from Zoya.com for $9ea or for the whole collection for $54. 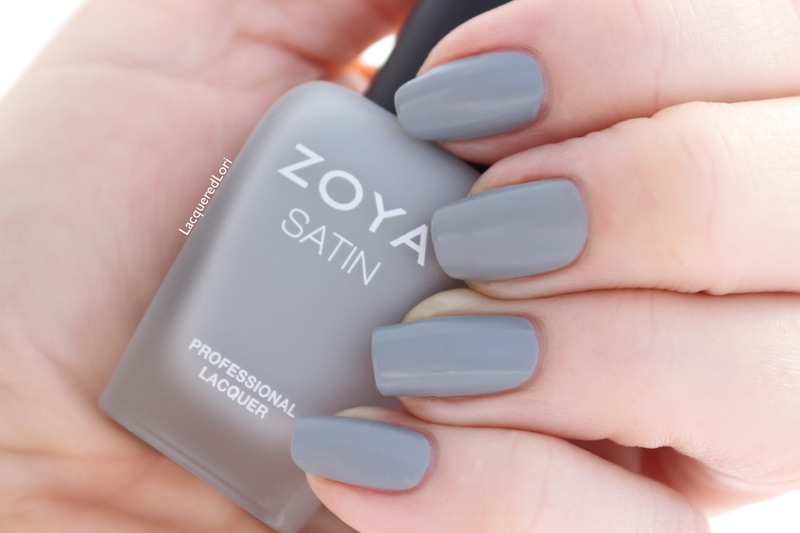 · ZP778/Tovee: Misty slate grey, exclusive Zoya Satin* finish. AVAILABLE In April 2015! – Zoya Satin Seal Topcoat! $9ea (US) or $54 for the full set. *Press sample. These products were provided to me for my honest review. All opinions are my own.